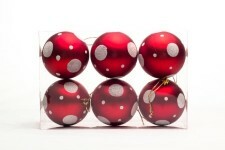 During Christmas, many people choose to decorate their tree based on a certain color. 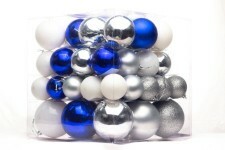 Before you choose which beautiful color you want to adorn your Christmas tree, read some fact, and some interesting points regarding each color! Each color has its own meaning and its own personality. No matter if you are decorating based on what the color means, or you simply enjoy that color, we want you to see some of the points that personify each color! White is a color that by definition is a color without color. All color comes from white, yet white has no color of its own. For that reason white is considered to be pure, and to resemble perfection. White is seen all throughout the natural world. From the stunning brilliant of white displayed on polar bears, and the majestic beluga whale, to the crisp whiteness of snow. White is seen everywhere and resembles its qualities well. From pureness, white is displayed because it is of no color. White takes the form of perfection because all colors are derived from white. And for someone wanted to put a light touch on their Christmas décor, what other color could be more representative than white. 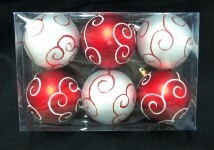 With Winterland Inc. you can get the stunning color of white in your ornament collection. 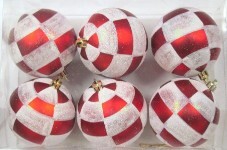 Whether you are placing the ornaments in your home, your office, or Christmas tree, they will enhance the present beauty of wherever they are accented. With our ornaments, you not only can show off the beautiful color of white, but you can also rest assured that the ornaments will meet your high standards for quality, and beauty. We pride ourselves in making the best ornaments possible. The white ornament collection is one of pureness and of perfecton, and we strive to ensure that the beauty of the color is matched by the quality of the product!